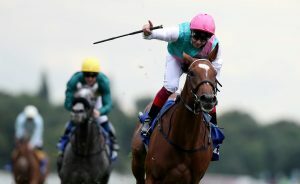 Enable was a hot favourite for the 2018 Prix de l’Arc de Triomphe betting tips even before a draw which history suggests has enhanced her chances while detracting from those of her closest rivals in the betting. John Gosden’s filly now trades at odds of 10/11 to record her second successive victory in Europe’s richest flat race but will be contesting it at the newly re-named ParisLongchamp for the first time after landing the 2017 edition at Chantilly, where the race has been staged for the past two years. The return to the Arc’s traditional home on the banks of the River Seine after its refurbishment brings about the renewed discussion about just how important the draw is at the Bois du Boulogne track. Scroll down for the facts on why the daughter of Nathaniel’s stall-six berth is ominous for her rivals, save a quintet of previously unfancied types, but first, let’s check out the Prix de l’Arc de Triomphe betting tips in full. Prix de l’Arc de Triomphe odds (Correct at time of writing): Enable 10/11, Sea Of Class 7/2, Waldgeist 13/2, Kew Gardens 10/1, Study Of Man 25/1, Capri 25/1 Cloth Of Stars 40/1, Talismanic 40/1, Defoe 50/1, Magical 50/1, Neufbosc 50/1, Clincher 66/1, Hunting Horn 66/1, Patascoy 66/1, Salouen 100/1, Tiberian 150/1, Way To Paris 150/1, Louis D’Or 200/1, Nelson 200/1. Some 13 of the past 20 editions of the race at Longchamp have been contested on excellent or good-to-soft, and, of that baker’s dozen, 11 were won by a beast that broke from stalls numbered from one to six (inclusive). Even one of the two winners that didn’t break from the lowest-numbered sextet during that sequence (Sinndar in 2000), was berthed in stall seven. Enable’s fortunate trap-six station is in stark contrast to those allotted to the next five picks in the Prix de l’Arc de Triomphe odds, Sea Of Class (15), Waldgeist (13), Kew Gardens (14) and Study Of Man (19). Even that quartet’s viability as each-way Prix de l’Arc de Triomphe betting tips has to be questioned given a slender eight of the 39 runners to hit the first three over those last 13 good or good-to-soft-going Arcs were berthed in a double-figure stall. With so many of the market principals contending with double-figure barracks, it follows that some juicy odds long shots were allotted choice stalls alongside the favourite in our Prix de l’Arc de Triomphe betting tips. Japanese raider Clincher (1) and French Derby second Patascoy (2) are 66/1 shots, while Aidan O’Brien’s Nelson (4) is an enormous 200/1. The same trainer’s 2017 St Leger winner Capri is 33/1 in the betting, while Tiberian, the mount of William Buick (fifth in a Group 2 last time), is the beneficiary of a stall five draw. Of that quintet, Capri is the standout each-way pick, having beaten Crystal Ocean, Stradivarius and Rekindling in last year’s Town Moor Classic – those three have finished a neck second in a King George, landed an Ascot Gold Cup and won a Melbourne Cup respectively since. Against the four-year-old are his subsequent runs, including a mediocre 17th in last year’s Arc and tame fifth behind Waldgeist in mid-September. However, the latter was just his second outing of the term and his first since the start of July, so there’s hope that he can come on for the run during the race at Longchamp as part of our Prix de l’Arc de Triomphe betting tips. Of the remainder, the gargantuan price of Nelson catches the eye on the form of his best run of the campaign, when four-and-three-quarter-lengths third to Kew Gardens over 1m6f at Royal Ascot, but he looks likely to play pacemaker for shorter-odds Ballydoyle contenders. As result, Patascoy looks the best of the large priced, well-drawn each-way picks. Taking on 1m4f for the first time, Xavier Thomas-Demeaulte’s three-year-old has shaped like he should appreciate the step up in trip all season. His mount Olivier Peslier has previous experience of landing the Arc on another well-drawn outsider, Solemia, in 2012, too.